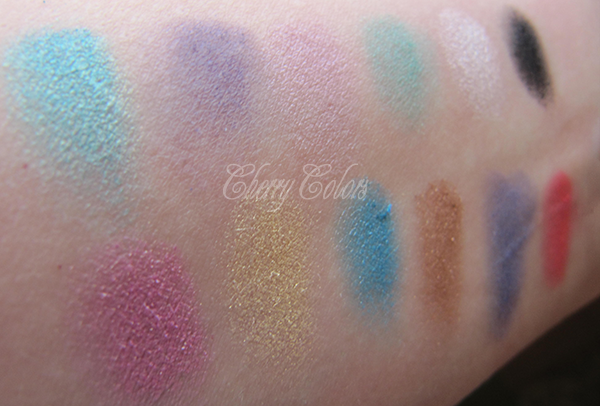 Review: Sleek Makeup Aqua Lagoon palette - Cherry Colors - Cosmetics Heaven! I have been putting off the review of this palette for a tad longer than I care to admit. I got it as a review product, so that's why mine has written "tester" on it. 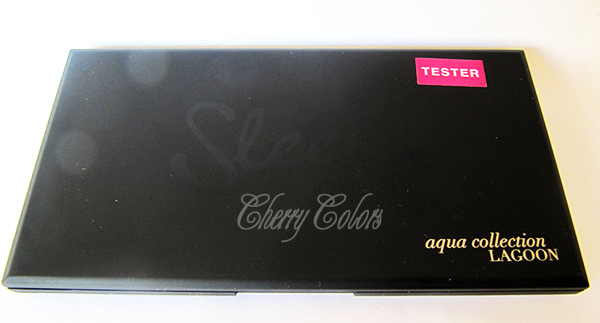 I reviewed it for Ars-Cosmetica. I am a big fan of affordable product that are high in quality too, and this one is luckily one of those products. I already had a bunch of Sleek Makeup palettes and loved them dearly (but gave them away, because I did feel that they were neglected). 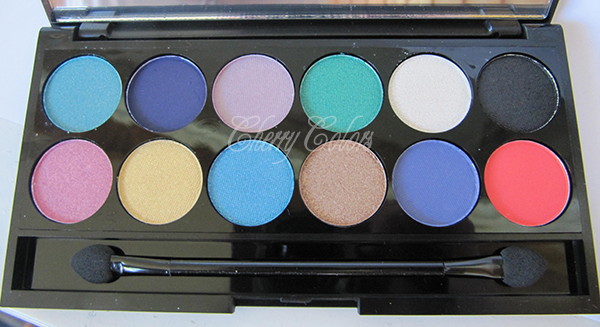 This palette is a mix of vivid matte and shimmery eyeshadows. 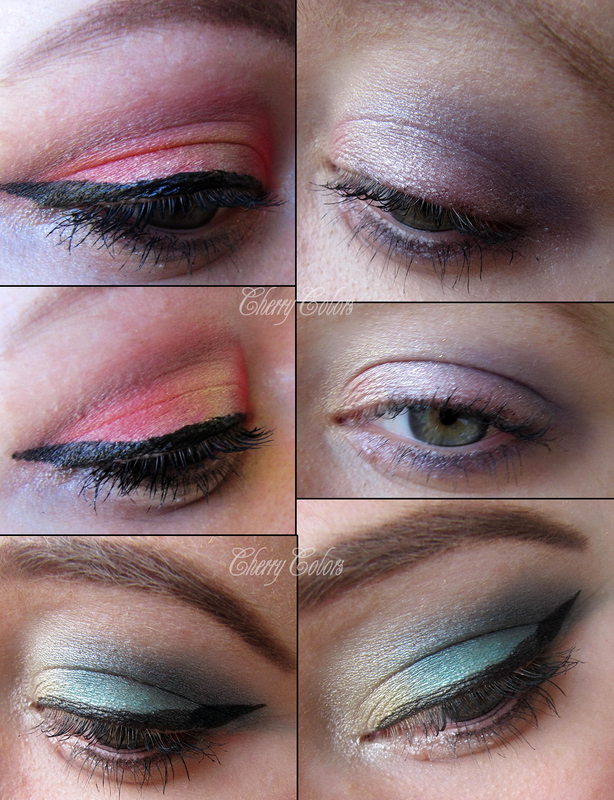 The shimmer eyeshadows are greatly pigmented ,while the mattes aren't as pigmented as the shimmers. But that's something I was expecting. And also I am not a fan of matte colored eyeshadows, just nudes. The staying power is good, the shadows lasted on me a whole day with my Too Faced eye primer. Even in the heat! I did have a lot of fun playing with this palette and now that I got reminded of its existence, I will go play with it some more. 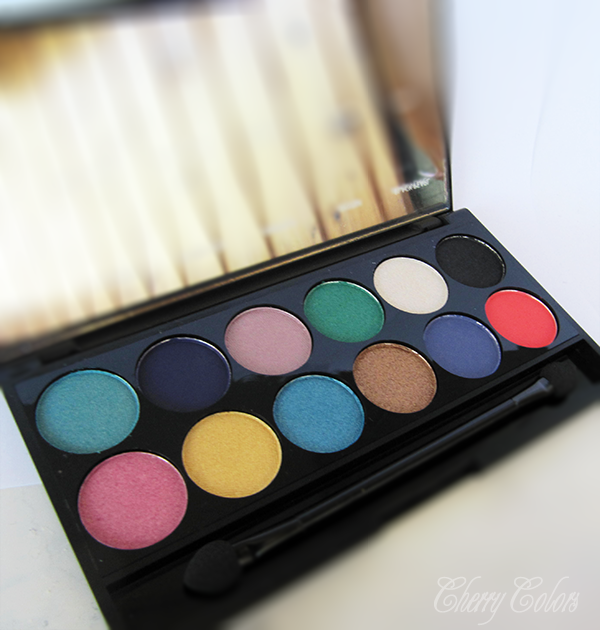 A nice and cheap palette that is also pigmented and works well with most eyelids and Seasons. With a good primer the colors stay on the whole day even in humid conditions. The package is sturdy, it survived falling on tiles. Only the mirror broke and the eyeshadows stayed intact. That was a lovely surprise in an unhappy situation. Would I reccomend it? 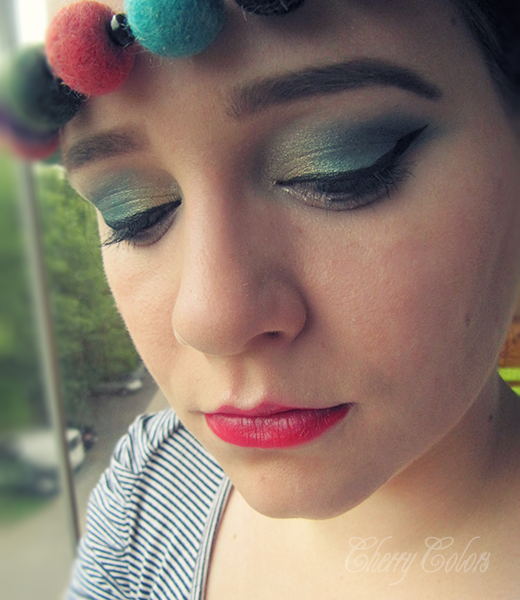 Yes, if you like a pop of color on your eyelids. Do you own it? Do you like it? Would you like to add anything?